Many SEO companies sell their services to businesses on the basis that they “guarantee page one rankings”. The deal might be for a couple of keywords, or it might be for ten or more keywords depending on the price they’re charging, but the principle is the same – if they get you on the first page of Google for those keywords then their job is done. This can sound like a good deal to lots of business owners, and it’s quite understandable that you would think if you’re on the first page then searchers will see your website and if they see it then they’ll click on it. It might not be such a good deal in the long run. Just being on the first page isn’t enough. While rankings are important, take it at face value. 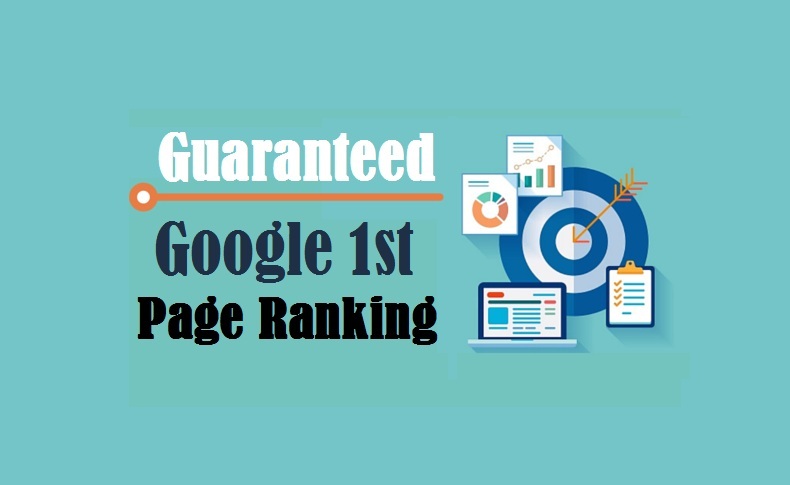 Ranking on the first page will guarantee you more clicks if the ranking search term has a high volume of search queries. The goal of a good SEO campaign should be to increase traffic to your site, increase phone calls to your business and/or ultimately increase revenue for your business. One reason why the principle of selling SEO packages based on page one rankings may not be good for you is because some keywords get very few searches. Some don’t get any at all. If an SEO company ranks your business’s website on the first page for five keywords that no-one is searching for then even if you rank in the top position for those keywords you won’t get any visitors to your website. You need to know the search volumes for the keywords that they’re ranking you for. They should tell you that information if you ask them. 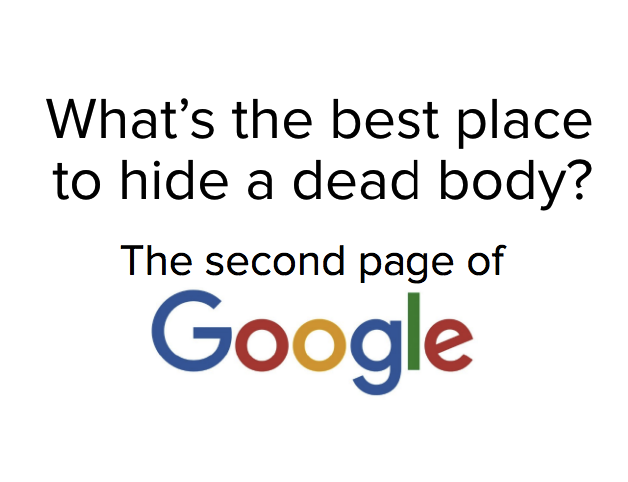 If not, you can check yourself using Google’s keyword tool. Your SEO company should provide reporting monthly at the LEAST! If your SEO company is not providing you with reporting that shows an increase in Search Queries, Website Traffic or Rankings, it is time to move on to a company that does provide reporting. It’s not uncommon for SEO companies to pick five or so keywords with very low search volumes to rank you for because normally the lower the search volume is the lower the level of competition is, which makes it easier and cheaper for them to rank your website for those keywords. What constitutes a ‘good’ search volume depends on the industry you’re in, your budget and the commercial value of those keywords. If you’re spending less than $500 a month, then you need to be realistic and not expect a reputable SEO company to rank your website for five highly searched for competitive keywords. Neither should you accept being ranked for five worthless keywords either. So, if you’re tempted by one of the many “guaranteed first page rankings” offers, make sure you check up on the value of those keywords before paying any money. Even if the SEO company does agree to work on valuable keywords for you though, and they do fulfill their promise to get your website displayed in one of the top ten positions, it still may not work out to be a good deal for you. The reason being that the site in 10th position rarely gets clicked on when people do a search. Why? Because the websites in the top few positions normally meet the searchers need, which gives them no reason to check out the website at the bottom of the page. The exact figures for which websites in the top ten for any given search get what amount of clicks vary slightly from study to study, however, for the purposes of this example, the data from a study by a respected marketing company called Optify will be used. Note: The percentages don’t add up to 100% because some people do a search and don’t click on any results and others will go straight to the 2nd page if they don’t like the results shown on the first page. Those results are for the first click that a searcher made after being shown the search results. Often people will click on two or three results, so in real terms wherever in the top ten that your website is ranked you can expect to get more clicks than the percentages shown. The point of showing the percentages though is to highlight how much of a difference a 1st place ranking makes compared to a 10th place ranking. Even 3rd place compared to 6th place, there’s a big difference. If your business’s website is ranked 3rd you can expect to get twice as many visitors than if it was ranked 6th. Think about this – it’s quite probable that you would get more visitors to your website if your website ranked first for one good keyword than if you ranked 5th to 10th for 10 average keywords. That’s why the SEO packages that offer “five keywords on page one for $500 a month”, or variations of that, aren’t the offers that you should be considering. You should be considering packages that work towards increases in visitor numbers, as that’s what ultimately matters. Would you rather have 10 keywords ranking on page one that bring a combined 25 people a month to your website or one keyword ranking in the top three positions that brings in 100 people a month? The role of an SEO company or an SEO consultant should be to maximize the number of visitors your website gets from search engines (and other places too), and not just to get it listed on the first page of the search results. So, don’t accept your company’s website just being on page one of Google. That’s a good start, but the job’s only half done.